Thank you for choosing to support the Weill Cornell Brain and Spine Center, New York City's leading center for groundbreaking neuroscience research and #1 hospital for patient care. 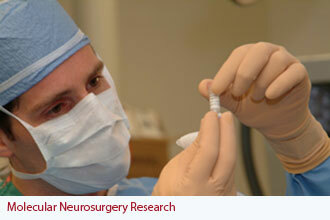 Your contribution may be directed to any specific area of brain and spine disease research, sponsoring the recruitment of world-class doctors, helping us build state-of-the-art patient care facilities or continue to bring the latest in neurosurgical technology to accelerate patient recovery and improve outcomes. Your contribution, regardless of level, is deeply valued and appreciated. 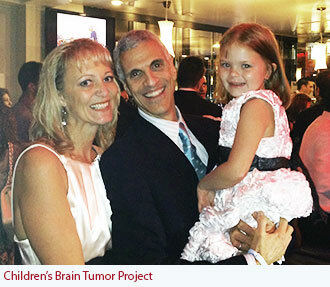 The Children's Brain Tumor Project, which is investigating new treatments and delivery mechanisms for rare and inoperable pediatric brain cancer. 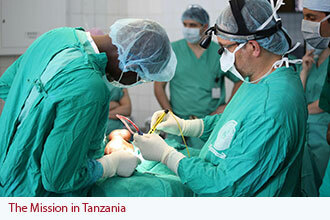 Mission in Tanzania, which brings neurosurgeons from Weill Cornell to Africa to teach surgical techniques to local surgeons. The Craniofacial Tutorial Project, supporting development of a new decision-making tool for parents. Use the links below to find out more about individual projects and initiative that need your support, or go to the Donate Now page for links and information that will allow you to make your gift online, by check, or by stock transfer or other means. Thanks to your support, the Weill Cornell Brain and Spine Center will be able to expand the scope of its lifesaving procedures and therapies to more New Yorkers and patients from around the world. Your donations help support critical efforts in many areas. From top to bottom: Dr. Souweidane with Caitlin Downing, the first patient treated in his groundbreaking trial for DIPG, and her mother, Denise Downing; Dr. Härtl's Mission in Tanzania; Dr. Kaplitt's molecular neurosurgery research laboratory.